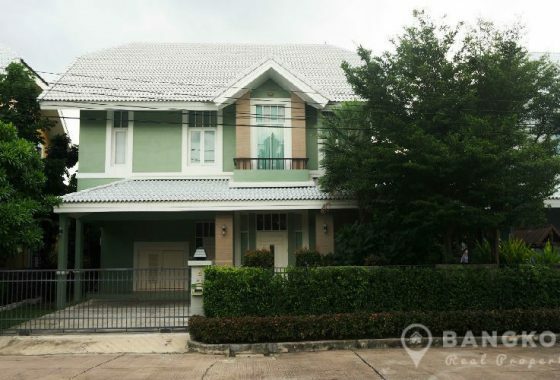 This spacious, detached 4 bedroom family house near Bangkok Hospital is now available to rent. 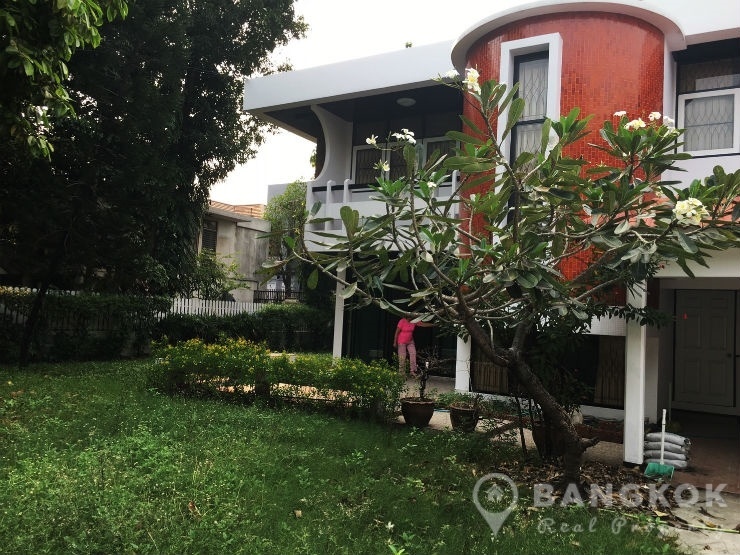 The house is situated just off Phetchaburi Road in a quiet, established residential area and within easy access of either Ramkhamhaeng ARL or Phetchaburi MRT stations. 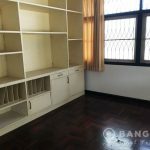 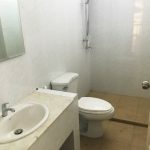 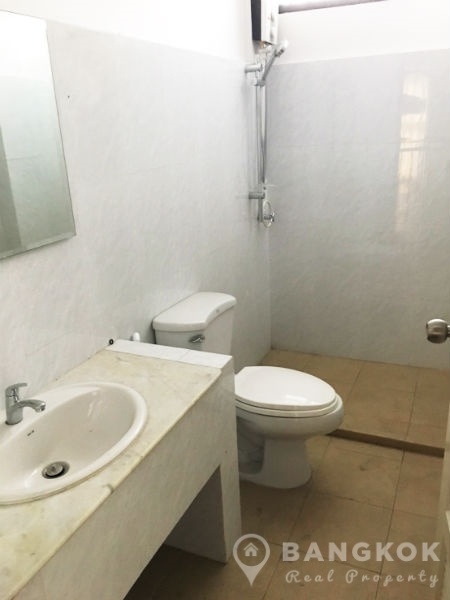 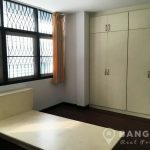 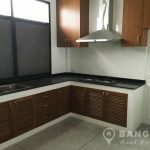 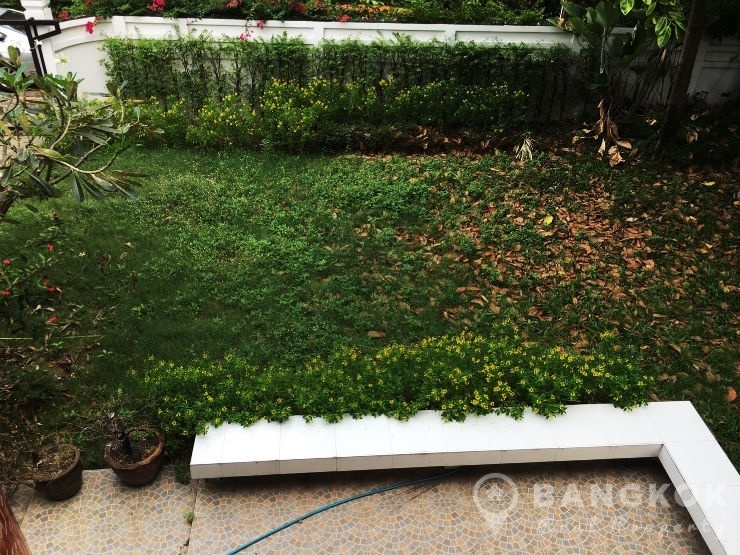 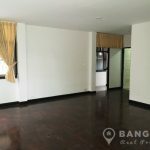 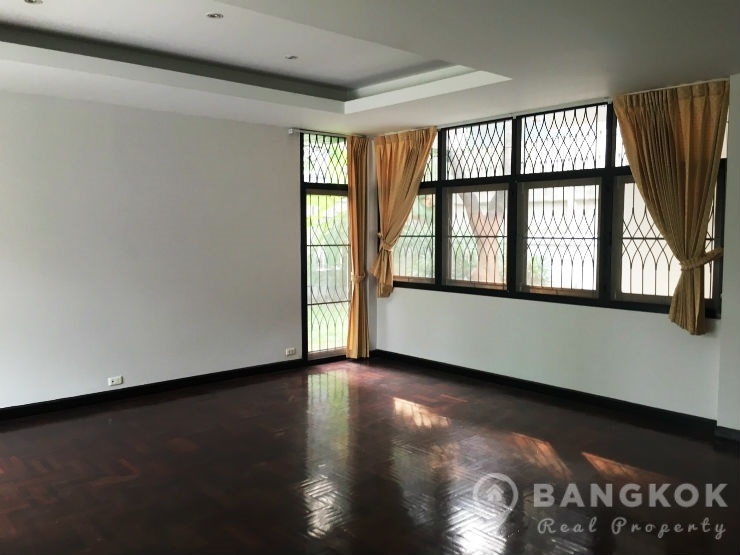 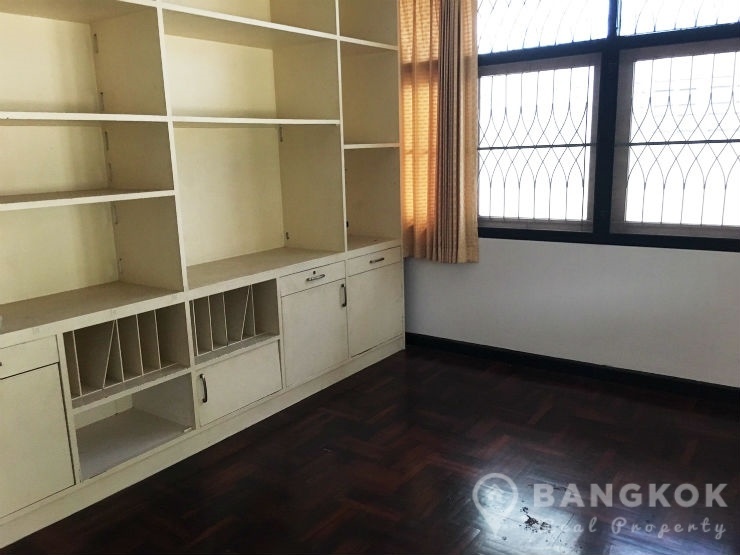 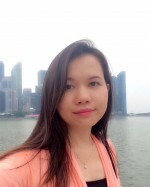 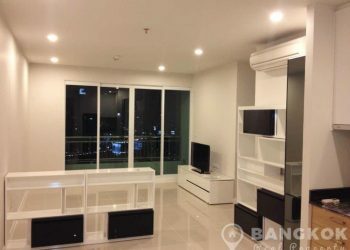 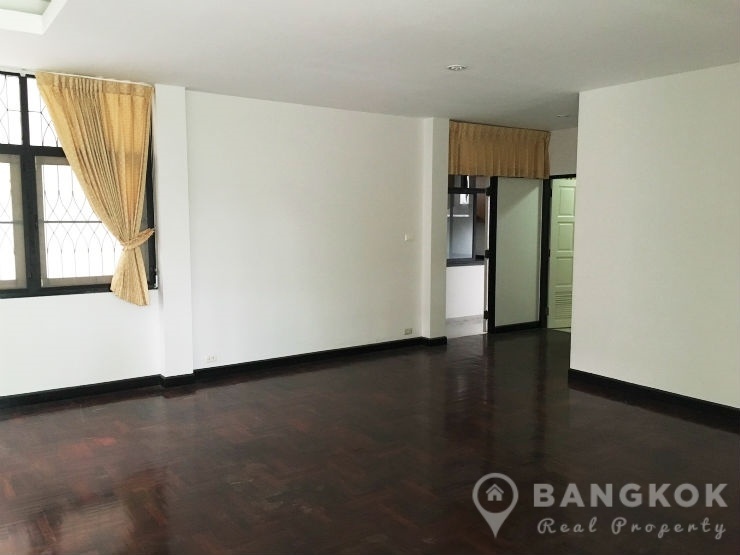 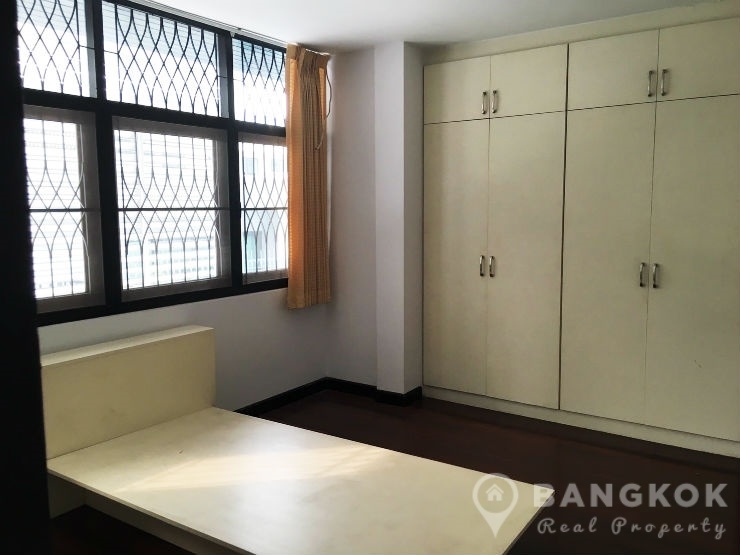 This house near Bangkok Hospital offers local amenities including Central Plaza Grand Rama 9 Mall, Tops Market, Villa Market, Foodland, Lycee Français International Bangkok and Singapore International School of Bangkok. 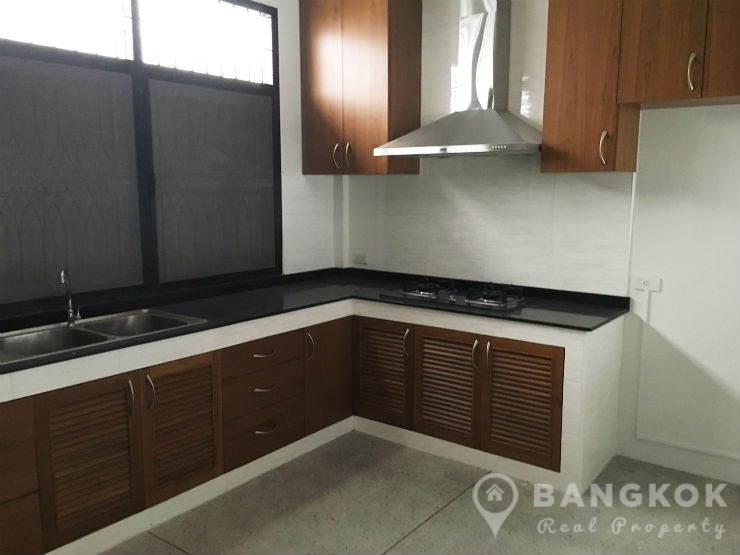 This detached house has 2 floors with c. 350 sq.m of living space with 4 double bedrooms, 3 modern bathrooms, a large airy livingroom – dining room with patio terrace, a separate large modern kitchen with gas hob, extractor hood and modern units, 1 maids room, good storage. 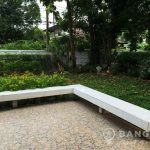 Outside there is a large garden with mature shrubs, trees and lawn and off street parking for 2 – 3 cars. 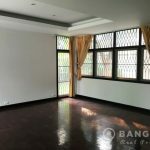 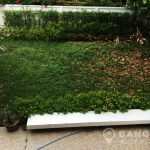 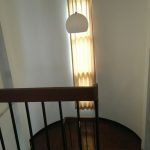 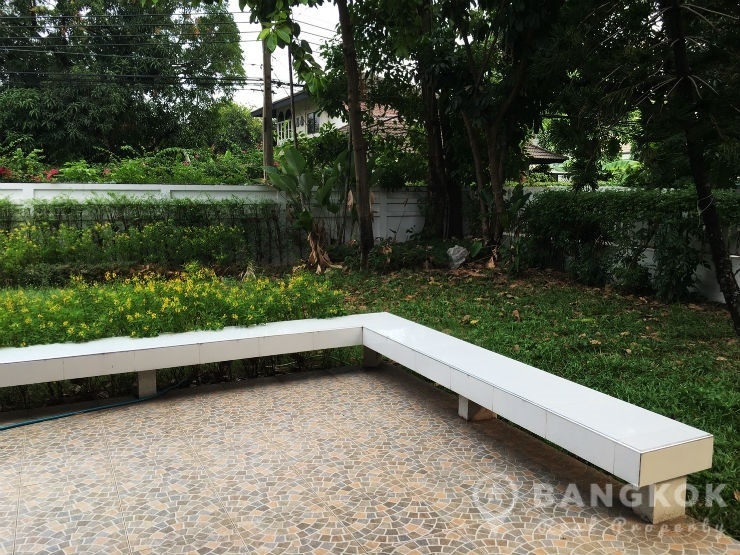 This is a detached house with a large garden located in a quiet residential area near Bangkok Hospital. 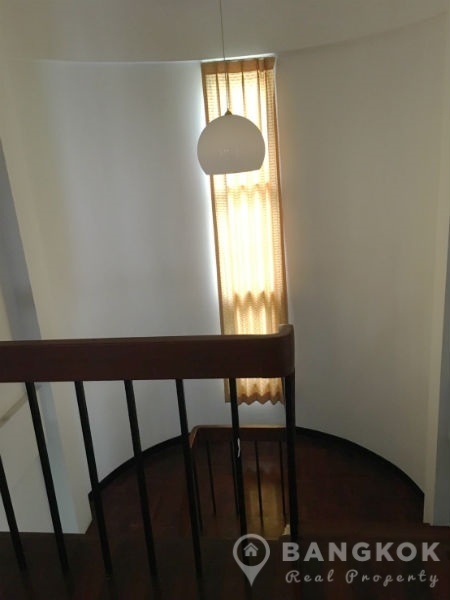 The house has 4 bedrooms, 3 bathrooms, 1 maids room, separate kitchen and 350 sq.m of living space with off street parking for 2 - 3 cars.